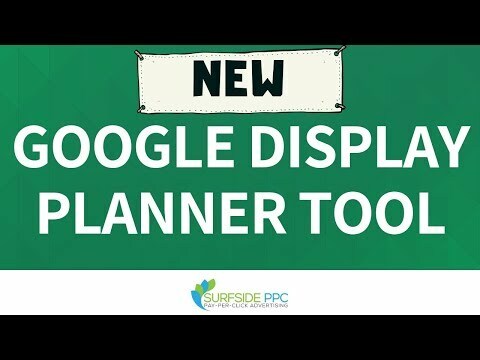 Discover the New Google Display Planner Tool 2018. You can Learn Where To Find The Google Display Planner and How To Use The New Google AdWords Display Planner within the new Google AdWords interface. The Google Display Planner tool is now right within Google AdWords display campaigns. When you are creating a new campaign, you need to pick your targeting including audiences, demographics, placements, websites, apps, videos, keywords, topics, remarketing, similar audiences, in-market audience, intent audiences, and more. There are a ton of ways to use the Google Display Planner tool and test your campaigns. I always want to test using different Display Targeting within Google AdWords so I can drive conversions and clicks. You might be thinking that the Google Display Planner doesn’t work in the new AdWords or that it doesn’t exist altogether in the new AdWords, but it is just within your campaign creation screen now. An AdWords tool that provides ideas and estimates to help you plan a Display Network campaign that you can add to your account or download. Display Planner generates ideas for all the ways you can target the Display Network. Targeting ideas are based on your customers’ interests or your landing page. They include keywords, placements (websites, videos, mobile apps, mobile app categories), topics, interests (affinities, in-market segments), demographics (age, gender), and remarketing. Each idea comes with impression estimates and historical costs.